Local or International – which one is for you? 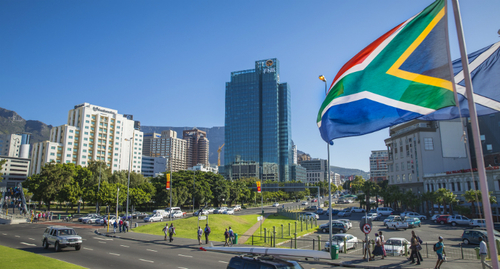 South Africa is a legal market in the limelight. Already considered a strong market for pan-African deals as a ‘gateway’ to the continent, it is enjoying something of a boom both in terms of global firms arriving and South African lawyers taking their careers overseas. The legal market in South Africa is currently developing at a rapid rate, and over the years an increasing number of international law firms have entered. This means that local candidates at leading SA firms can join an international firm, be exposed to international transactions, and go on international secondments, but at what price? In South Africa many lawyers climb the career ladder in a timely fashion; in 3 to 4 years someone can be considered a Senior Associate or even a Junior Director. This career path has many advantages; lawyers will often be given a greater responsibility early in their careers, their salary increases with every promotion and a lawyer can be on track for partnership is as little as 4 years. International law firms work slightly differently, often with a fixed system or career structure precedent adopted at ‘head office’ rolled out globally, regardless of location. Lawyers at international firms climb the career at a slower rate, which counter-intuitively has its own advantages; more experience gained through training, higher calibre transactions, exposure to international transactions and markets, and the chance to go on international secondments, not to mention a higher salary. Ultimately, it all comes down to what suits you and where you see yourself in the next 5 years. If you are happy to stay in the local market and making partner early on in your career is what is important to you, then a well-regarded local firm is the ideal choice. However, if you are looking to be exposed to bigger, more challenging work with the opportunity to move abroad and title is not an issue then an international firm is for you. Lawyers in South Africa actually have three options when it comes to exploring career moves - first is to explore local firms, second is to join an international firm locally, and third is to make an international move to a different jurisdiction. At Nexus we have successfully placed several South African lawyers in markets like Australia and Dubai, all of whom now have the cache of an international firm/jurisdiction on their CV, which opens a lot of doors. International firms give you access to bigger deals and different markets, but career progression is slow, whereas in the local market the work is limiting, and career progression is fast.